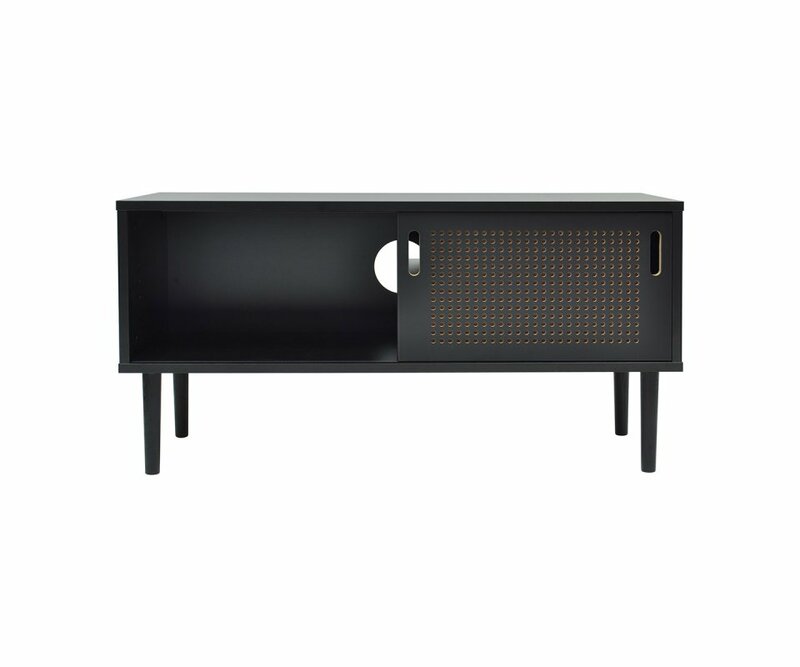 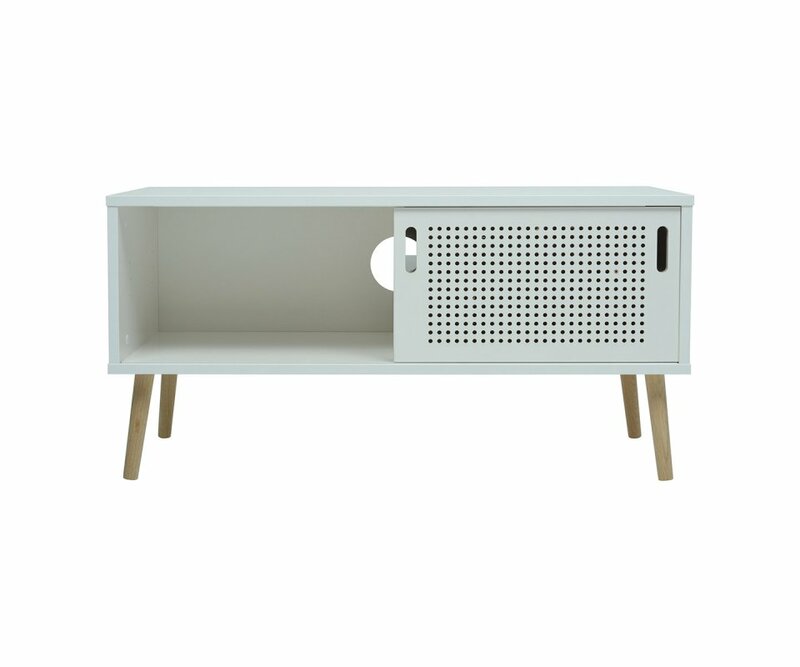 The Tressi TV stand combines a funky retro style with modern technological convenience and storage solutions, creating a center for home entertainment. 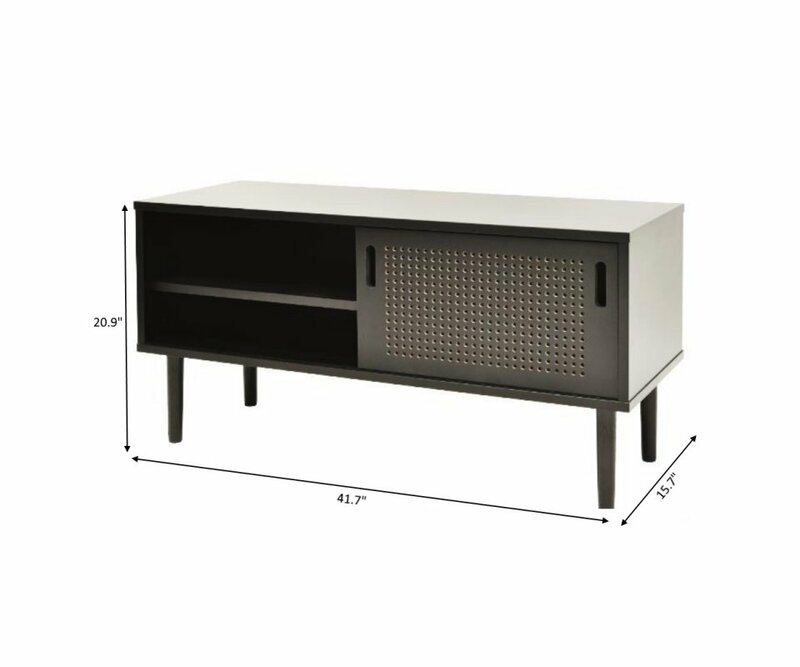 The raised cabinet is 3.5’ long, and set low at 20.9” in height, perfect viewing height for a flat screen TV. 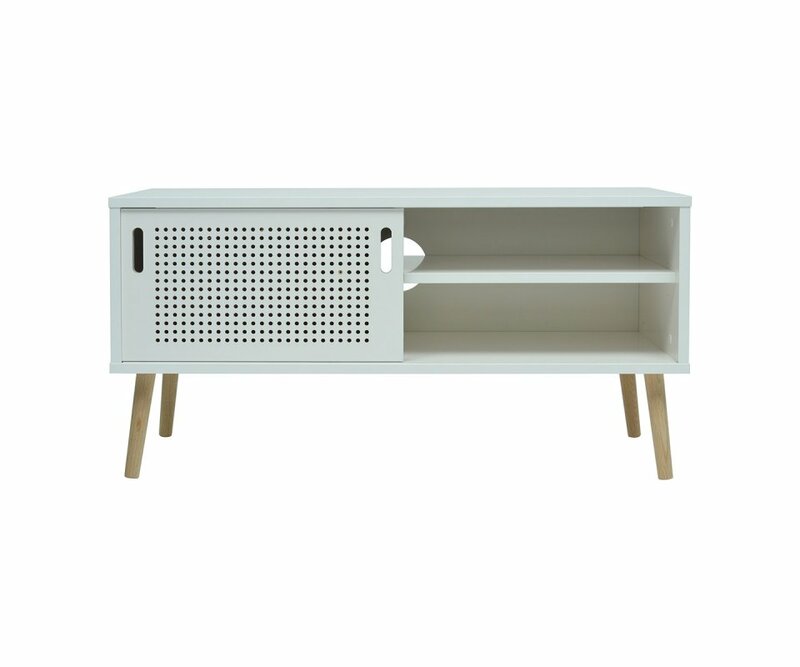 Flared, tapered solid wood legs and a woven sliding door panel add a charming vintage-20th century accent that will enhance any home decor style. 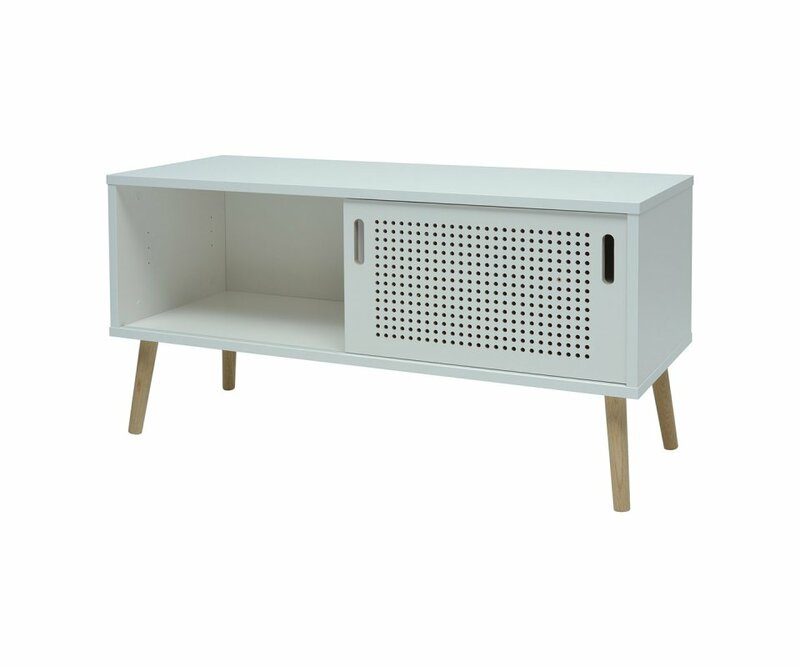 The stand is available in two colors, solid White or solid Black lacquers. 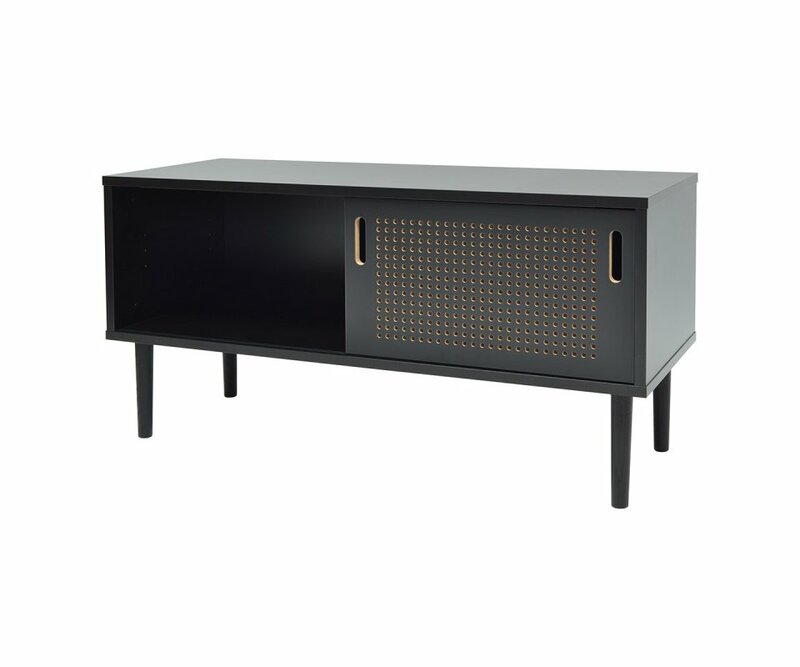 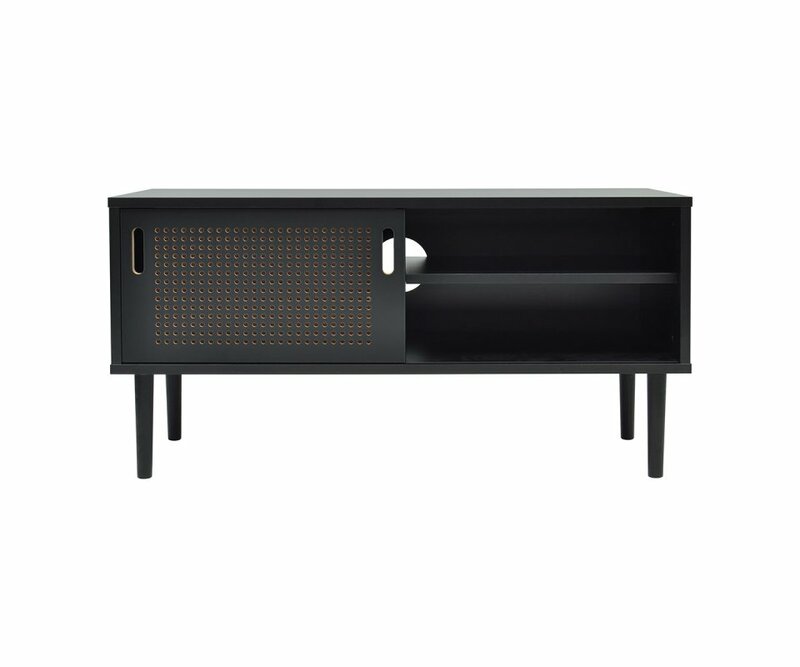 Modern details like the heavy-duty MDF board core and heavy-duty steel hardware mean that the unit is built to last, and will hold the weight of a large TV. 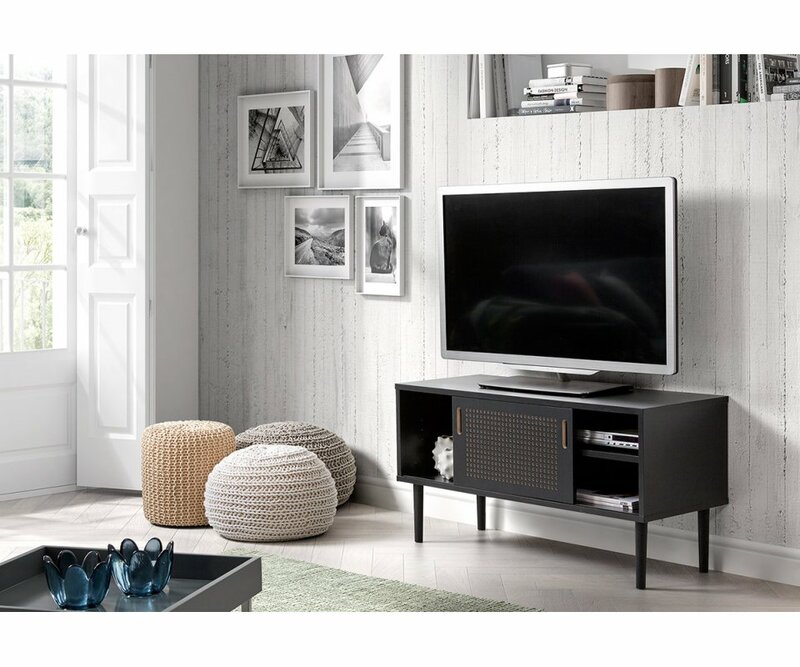 There’s a place for media equipment, as well as a cutout to pass cables through to the wall outlet, and plenty of storage space to organize games, DVDs, and controls. 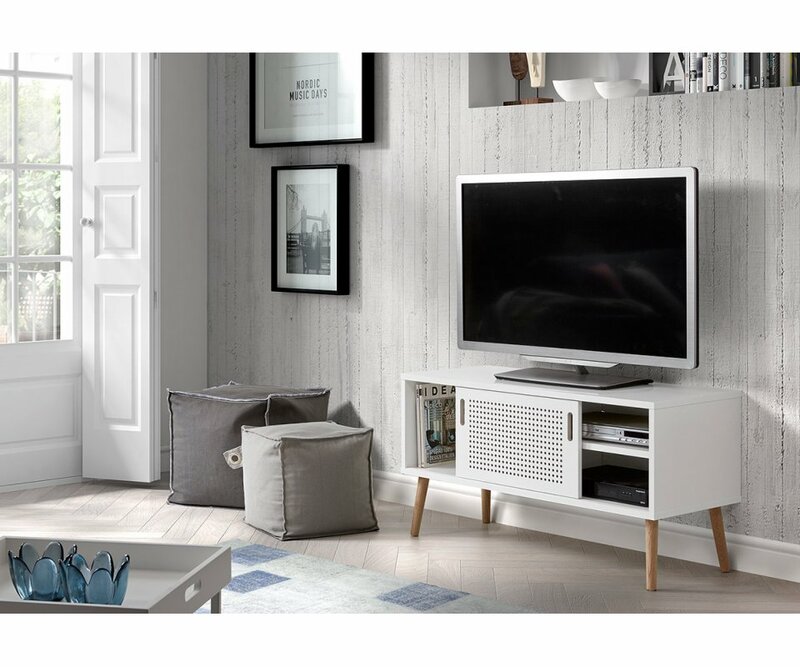 Make your home entertainment area the place to be, with the Tressi TV Stand!